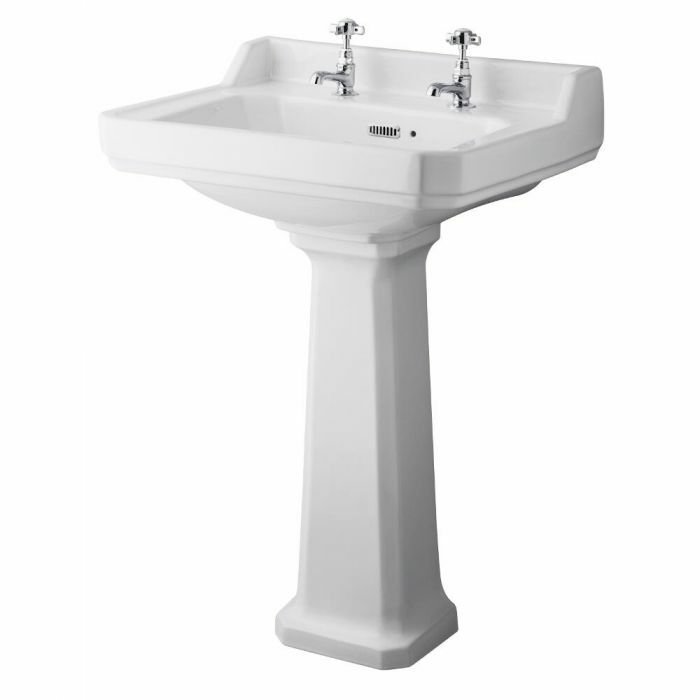 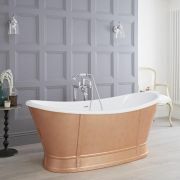 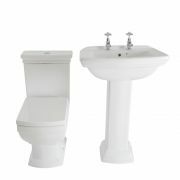 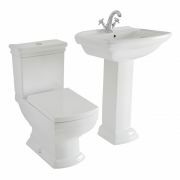 The Premier Carlton 595mm basin is the perfect choice for your traditional style bathroom. 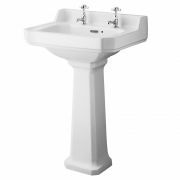 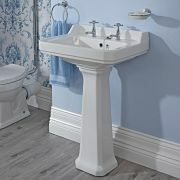 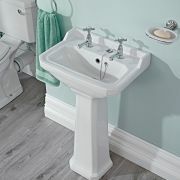 Featuring an easy to clean white glazed finish and stunning elegant looks, this basin includes the full pedestal, which conceals unsightly pipework from view. 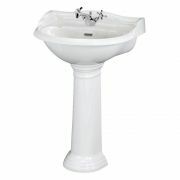 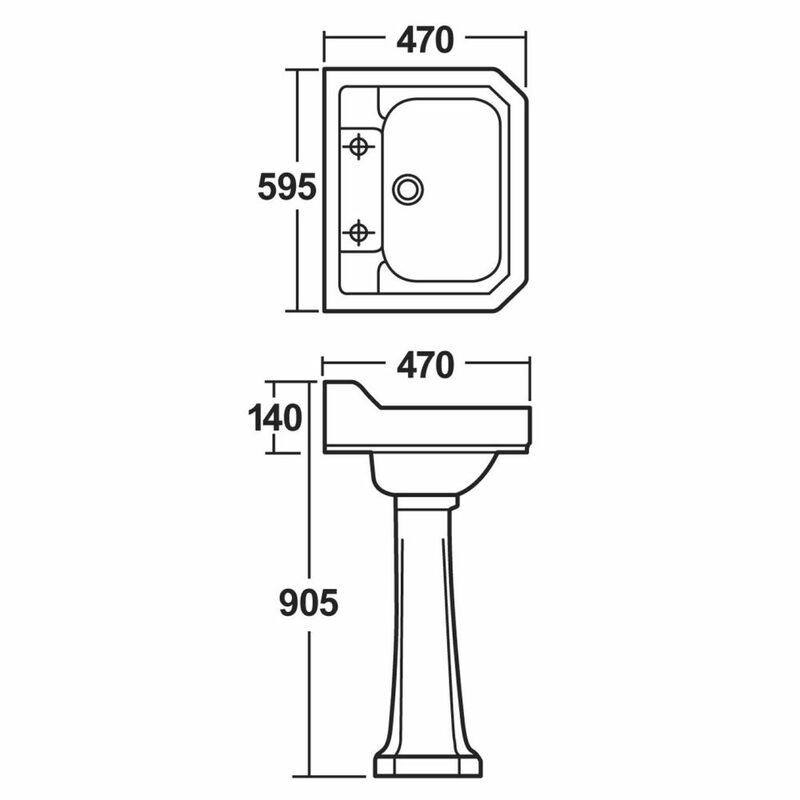 The basin has two tap holes, so you can choose from any of our basin pillar taps to complete the look.